When people say that "time is money," they're not just talking about time you could be putting into your business. They're also talking about creating a streamlined business by increasing efficiency. Think about the methods you're currently using for your business. Chances are, you're aware that there's some room for improvement, but there may also be some tweaks you could implement that you've not taken advantage of, simply because you're not aware of them. If you're a manager in a warehouse or other large retail facility, keeping your data together and active is a major part of your business. Luckily, with the advent of the laptop, that's easier than ever. But when trying to tote it place to place and find an area to set it up with power, it can be difficult, especially in a warehouse setting or a small room. That's why laptop computer carts with power empower all sorts of professionals, streamlining their business practices and eliminating headaches. 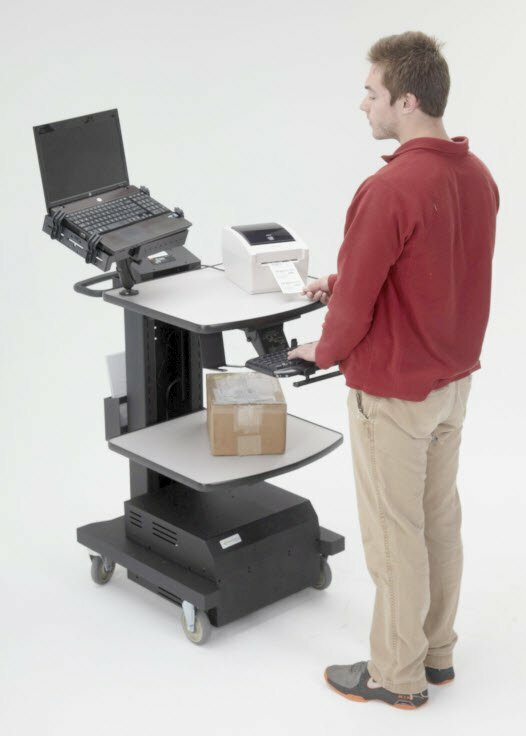 In essence, laptop computer carts with power supplies are a mobile workstation, meaning that you can take care of your business anywhere, without having to worry about your laptop running out of power or having no place to store it. It also means no pesky cords that can be extremely problematic in warehouses and large retail facilities, considering the amount of business going on. 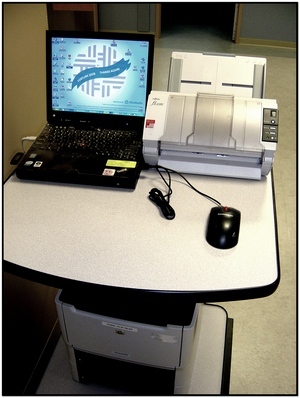 Laptop computer carts with power are a tool that does more than just allow you to do business on the go, anywhere in your facility. Of course, that functionality is important, as it lets you use your wireless facility to its full potential, but it's also a way for you to connect with your employees while saving space. Laptop computer carts with power bring you to the floor, where you can do the most work, rather than holing you up in a corner.